Found this article online, but basically as of September 6th Safety Mode will free on all sizes of Verizon plans. Originally it cost $5.00 for those who weren't on the XL and XXL plans. Also a limited time plan of 12GB for $80 to nestle in between the $70 8GB plan and $90 16GB plan. Looks cool :) Thanks for the heads up! Thanks for sharing, D Mack! Ouch!!! 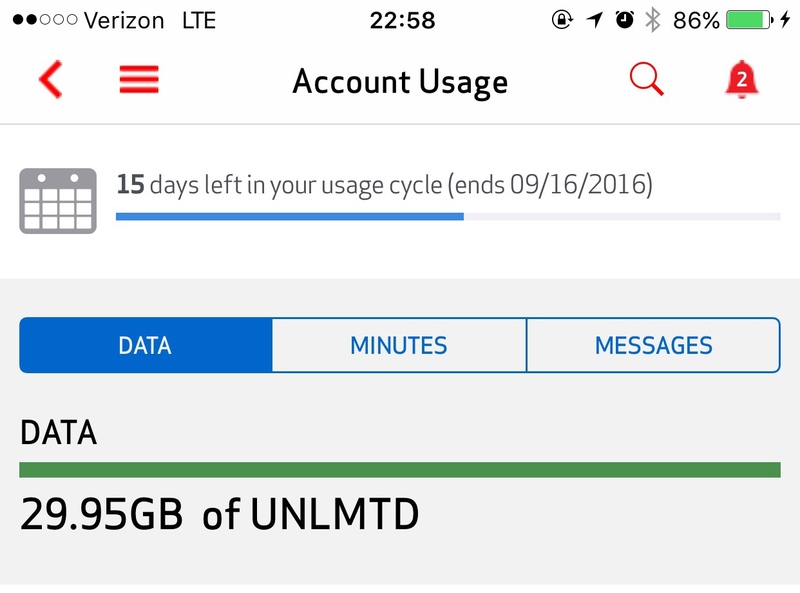 Do you usually use that much data monthly?? I think that's reasonable for unlimited. I typically use 20-25gb/month. One rep told me I wasn't using enough. :) Been streaming Hulu & Showtime lately & I'm interested to see what my data usage went to this month. Don't they charge extra to add wi-fi hotspot on? I had to use it a couple of times and they wanted to charge me $30/month for it. When I need to use it, i.e. Traveling & don't trust open wifi, I call & have it activated & then turn it back off when I return home. Cheap that way. A lot of websites are secure and apps are secure. I don't trust them too much either but I do use a VPN which makes it harder to see what your doing. I still don't do banking or any thing important like that. Just surfing the web usually or social media.